I found this small homestead when Bob and I decided to 'take the long way home' after a relative's memorial service. It seemed only fitting to take a little extra time to wander through the past. While I don't know the personal history of this home, I loved spending a moment standing in front of it imagining the lives of those who once lived within these walls. Using my photo as the jumping off point, I created a base layer of appliqué with a variety of hand painted and other fabrics. 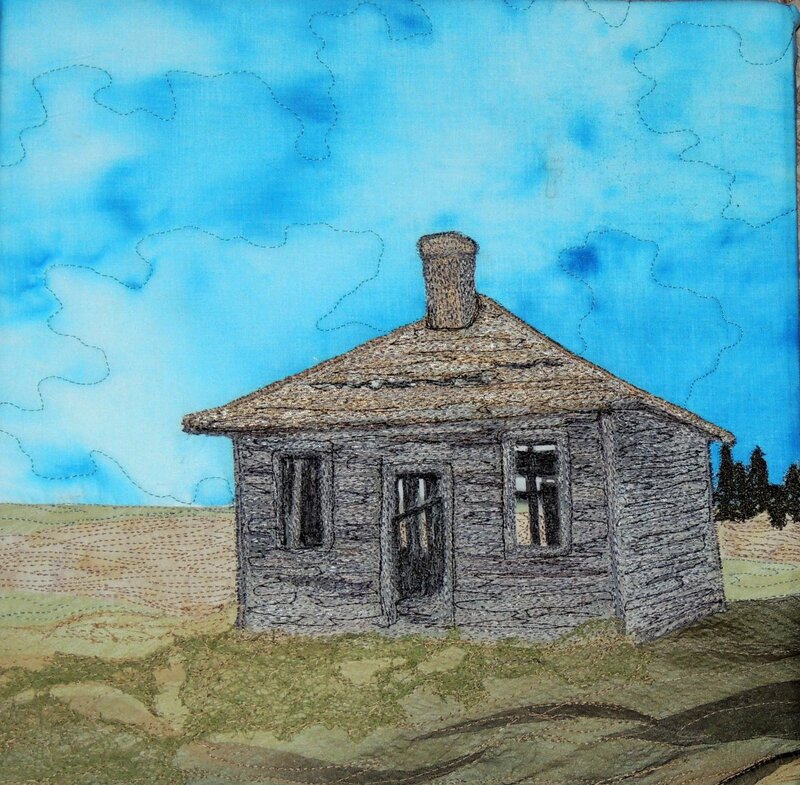 I built the barn separately using layers of thread and then appliquéd it on top of my background. The entire work was embellished with more thread painting and quilting. Size: 12 x 12 on wrapped canvas with hanging cable.